Fall is almost here. The weather is cooling off. Some of the leaves on my maple tree are already turning colors. Back-to-school activities are in full swing. 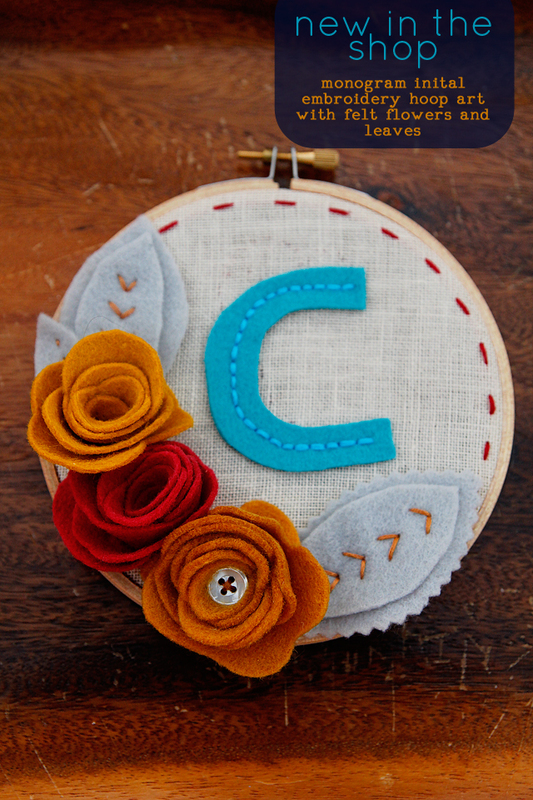 To celebrate the colors of autumn, I created a new embroidery hoop art. 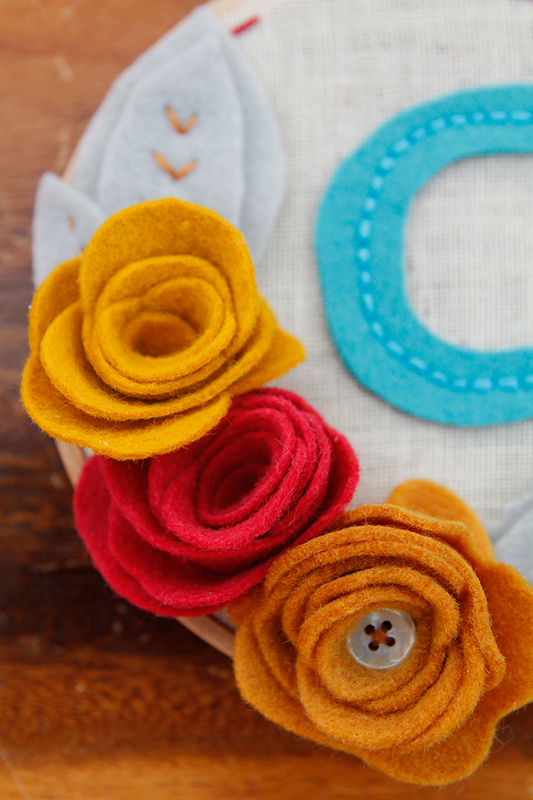 This little guy incorporates the colors of fall in marigold, strawberry red and goldenrod in my signature hand-cut and hand-sewn felt flowers with soft grey felt leaves framing them. 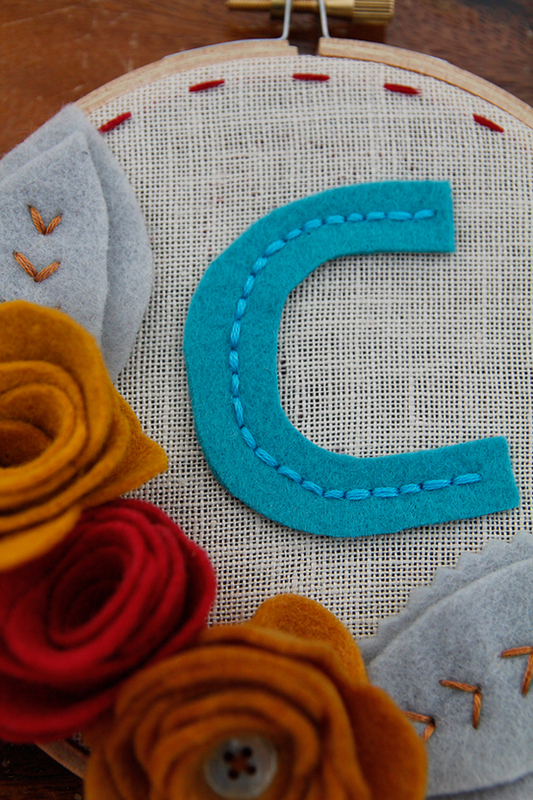 For an unexpected pop of color, I hand-cut my initial "C" (it can stand for Cathy or Catshy! ;) in a bright, saturated peacock teal and hand-appliqued it to a textured background of 100% tea-stained Irish linen. Crimson red stitches round out the smoothly sanded, 5-inch wooden embroidery hoop. 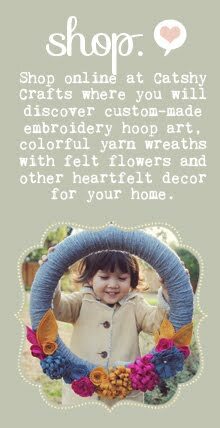 This monogram hoop art has dimension and texture and makes any space a little cozier and more personalized! When you order, you can specify any single letter. 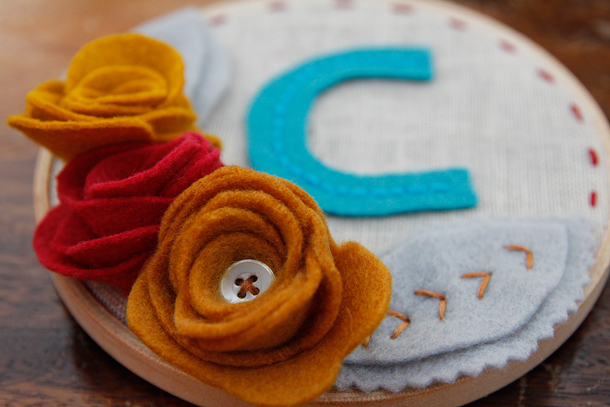 I will hand-cut the letter in felt in a chunky font. Lowercase or uppercase can be requested. Otherwise, I will choose the case that looks cuter to me :). 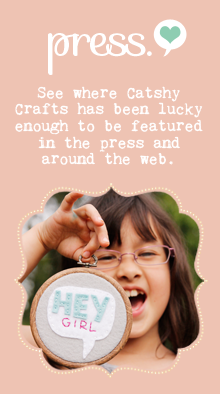 Each hoop is custom-made for you so please allow up to two weeks for completion of your hoop art. Numbers are also available upon request. 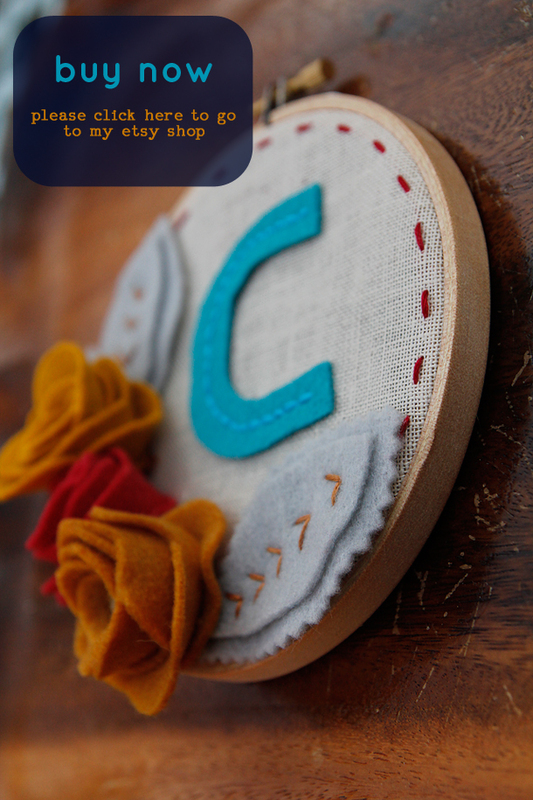 How fun would this hoop art be to celebrate a special birthday for a little one! Can you say awesome photography prop? You could even buy more than one hoop art to spell out a name or word of choosing! Or two hoops for a the initials of the bride and groom. The ideas are endless! PLEASE SPECIFY WHEN YOU ORDER IF YOU HAVE DEADLINE (birthday, wedding, anniversary) etc. and I'll do my best to accommodate you. Priority shipping is also available upon request. 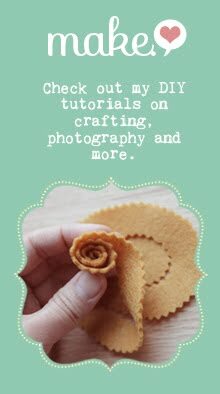 To order your own monogrammed hoop, please go to my shop at Etsy.